In March of last year, Nature Valley launched their Trail View website, giving deskbound outdoor enthusiasts the opportunity to take a virtual hike through three of the most popular national parks in the U.S. The website employed technology similar to Google’s Street View to give us the opportunity to explore more than 300 miles of trails in the Grand Canyon, Great Smokey Mountains and Yellowstone. 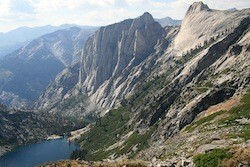 Now, just in time to celebrate National Park Week, the site is adding yet another spectacular park to the mix. Nature Valley has announced that starting today an additional 50+ miles of trail located inside Sequoia National Park will be available to virtual explorers. Located in the Sierra Nevada Mountains, Sequoia is of course best known for the trees from which it derives its name. The Giant Sequoias are known to grow to heights in excess of 200 feet, putting them amongst the largest living organisms on our planet. With the addition of the park to the Nature Valley Trail View site, you can now take a stroll amongst those magnificent trees directly from your favorite web browser. Adding another park to the website isn’t the only upgrade to Trail View today. The site is also becoming more mobile friendly in an effort to accommodate smartphones and tablets as well. That will include the ability to download .pdf files with information about the parks and specific trails too. This could become a handy resource for travelers headed out to one of these destinations who might need a little help finding your way around.Nature Valley’s commitment to the national parks doesn’t end there, however. Over the past few years, the company has been a tireless advocate for the parks. Through its annual Preserve the Parks campaign they’ve managed to contribute hundreds of thousands of dollars to the National Parks Conservation Association. With another $500,000 donation this year, the four-year total will exceed $1.8 million. This is in addition to some fantastic park restoration projects that conducted with volunteers who are eager to help protect their favorite parks as well. As a fan of the national parks, I truly appreciate the efforts that Nature Valley has put forth to help preserve some of our most amazing landscapes. Their work is helping to ensure future generations will have the opportunity to enjoy these places as well. And with their Trail View website, they allow me to take a virtual escape now and again, which certainly comes in handy when I’ve spending far too much time indoors. Earlier this week the National Park Service announced that it would begin implementing a reservation system and charging fees for the use of backcountry camping sites inside the Great Smoky Mountains National Park. The move was announced last March, but it has taken until now for the system to be put into place. The NPS says the new fees will be used to improve customer service in trip planning, reservations and permits. Starting February 13, the Park Service will begin charging $4/person for anyone looking to camp inside the park. On that same day, a new online reservation system will go into operation, allowing visitors to book a campsite up to 30 days in advance. Permits will also be available within the park itself at the Backcountry Office inside the Sugerlands Vistor Center. The NPS hopes these options will allow campers plenty of flexibility in their plans even if they are attempting to make a last minute booking. Visitors to the park should see a direct impact from the fees that are collected as they’ll help fund additional staff in the Backcountry Office and put more rangers into the field. Those rangers will help ensure a safer and cleaner environment for hikers and backpackers, while enforcing regulations designed to make the park safer. 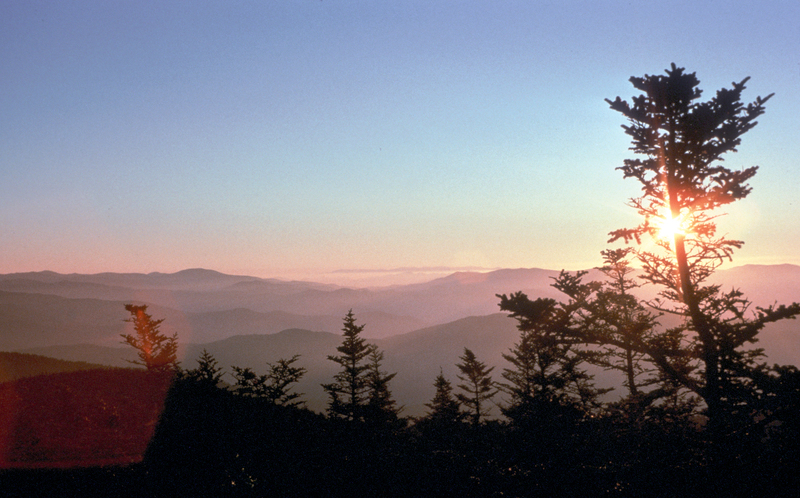 The Great Smoky Mountains National Park is the most visited national park in the entire U.S. system. On an annual basis it sees more than 9 million visitors pass through its gates. With over 522,000 acres of wilderness, it is also one of the largest protected areas in the eastern United States, which only adds to its popularity as a great travel destination. If a Labor Day road trip sounds like a good idea, you’re not alone. Over 30 million Americans will be hitting the highways for the long weekend, traveling across town, from state to state or around the nation. Like that idea but have no plans? Here are some must-stay places along some of the best American scenic drives that are not just a place to park, but also a way to extend the journey and experience the destination. Hana Highway in Hawaii is a winding path with ocean on one side and jungles on the other that leads to one of Maui’s best kept secrets of quintessential Hawaiian tradition and charm, the town of Hana. Warning: With over 600 curves in the road from just east of Kahului to Hāna, virtually all of it through lush, tropical rainforest, you may have a hard time keeping your eyes on the road. Where to Stay: Travaasa Hana, an oceanfront resort that features experiential programming based on five pillars – adventure, culinary, culture, fitness and wellness – inspired by Hana tradition. Guests can partake in net throwing classes (a revered Hawaiian skill), traditional Hawaiian spa treatments and meals made with locally sourced ingredients. Trail Ridge Road in Colorado’s Rocky Mountain National Park is the highest continuously paved road in North America. With more than eight miles lying above 11,000 feet and a maximum elevation of 12,183 feet, Trail Ridge Road provides a stellar view of Rocky Mountain National Park’s golden aspen leaves and autumn mountain scenery. Where to Stay: The Della Terra Mountain Chateau has 14 romantic suites, each with its own private balcony hot tub, amazing mountain view and warm breakfast for an authentic Colorado mountain experience.Blue Ridge Parkway is one of the most visited sections of the National Park System, and features 469 miles of stunning views with old farmsteads, mountain meadows and one of the world’s most diverse displays of plants and animals. The parkway connects Shenandoah National Park near Waynesboro, VA (Milepost 0), with Great Smoky Mountains National Park near Cherokee, NC (Milepost 469). Where to Stay: The Carolina Inn is a historic property located on the campus of the University of North Carolina that allows guests to enjoy a variety of activities and experiences both on campus and in downtown Chapel Hill. The Montana Scenic Loop spans the Northern Rockies in a nearly 400-mile long loop, featuring spectacular mountain vistas and abundant wildlife and wilderness within several National Forest lands. At the heart of the 400-mile loop is the Bob Marshall Wilderness flanked by the Great Bear Wilderness on the north and the Scapegoat Wilderness to the south. Where to stay: Moonlight Basin in Big Sky, Montana, is a year-round resort in Montana’s Rocky Mountains located close to Yellowstone National Park. Moonlight Basin features a world-class spa, and a variety of dining options and luxury accommodations that are perfectly suited for families or couples to create a well-rounded Montana vacation. Labor Day travel will see upwards of 33 million people hitting the road for the long weekend, noted AAA in a USA Today report this week. That’s an almost three percent increase from last year, the highest Labor Day road trip travel volume since 2008, and the trend is expected to extend through the fall and winter.